An established executive in brand, marketing, and international leadership, Sam Smith was called to utilize the skills he developed in the secular business world as an apparel executive and invest his talents in International Non-profit, Ministry, and Humanitarian Relief. Sam realized almost immediately the need for compassionate, yet professional, business acumen within Non-profit and Ministry leadership and has since coined the term “Optimizing Ministry”. God has provided gifts to us all, and it is our job to optimize these gifts to make the biggest impact possible on those we seek to serve. Since 2007, Sam has used this focus on “Optimizing Ministry” to achieve record results for serving the poor, fundraising, and securing volunteer support as the CEO of Mercy Ships, Medical Ministry International, and the COO of the Lindell Foundation. Sam founded the Optimizing Ministry Foundation to help bring a higher level of accountability, service, and resources to organizations seeking to serve areas of need in the United States. In 2019, Sam launched the Hand Up Network to bring decades of expertise and service to those in need back in his native Texas. Sam has been featured on FoxNews.com, NewsMax.com, The Christian Post, Christianity Today, Belief.net, Charisma, and Innovate for Jesus. 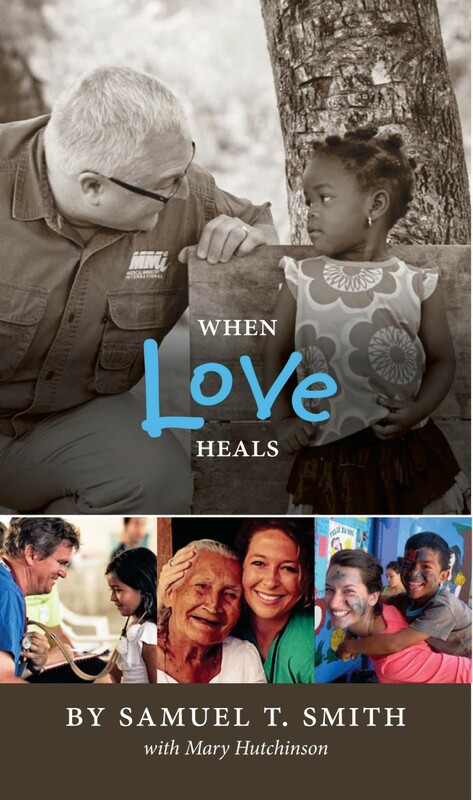 An internationally recognized speaker, Sam is the author of When Love Heals a powerful message of how each of us has been called into service for others. He has been approached to speak on the subject of “Optimizing Ministry” for the National Religious Broadcasters Association (NRB), NGO’s, Churches, International Relief/Development Organizations, Governments, and the International Media. Sam has served as an Advisor to the MBA Program at the Kellogg School of Management at Northwestern University in Evanston, Il, the Vice Chairman of the Richard and Lucille DeWitt, School of Nursing Advisory Board, and as a Director on the Nelson Rusche School of Business Advisory Board at Stephen F. Austin State University in Nacogdoches, Texas. He also served as an elected Trustee for the Bullard Independent School District (Texas) where he was inducted into the BISD Wall of Honor in 2017. Sam dedicates his time in these roles to help develop the individuals that will be in position to deal with the challenges facing the world’s poor in the future. He has been married to his wife Jill since 1991 and is “Dad” to his daughter, Sheridan, and son Jensen. Jill served for a decade in government relations with the international organization, 3M, before suspending her career to help raise their children. Jill became active in ministry and served as the Marketing and Community Relations Director for the 2016 CMB Christian Radio Station of the Year, 89.5 KVNE in Tyler, Texas. In 2019, Jill re-joined 3M Electrical Markets Team serving Texas, Oklahoma, and Arkansas. “Optimizing Ministry” is Sam’s passion and every day begins for him with the image of that next person in line seeking help. It drives Sam and the team at the Hand Up Network to continue to optimize the gifts that God has provided. To inquire about Sam speaking at an event contact the Hand Up Network PR Team.